Claire DeWitt lives a life lacking shame. Or perhaps, it is just the opposite. Perhaps she just wants us to believe she is shameless in order to allow her to believe it herself, to care less about herself and those around her. The negative views others hold against her are her excuse for continuing the destructive behavior towards herself and those around her. Or perhaps not. I don't think Claire quite knows, either, or maybe she knows the truth all to well. Get ready for a crazy journey with the eccentric Claire DeWitt. When Paul Casablancas, Claire DeWitt’s musician ex-boyfriend, is found dead in his Mission District home, the police are convinced it’s a simple robbery. But Claire knows nothing is ever simple. With the help of her new assistant, Claude, Claire follows the clues, finding hints to Paul’s fate in her other cases—especially that of a missing girl in the gritty 1980s East Village and a modern-day miniature horse theft in Marin. As visions of the past reveal the secrets of the present, Claire begins to understand the words of the enigmatic French detective Jacques Silette: “The detective won’t know what he is capable of until he encounters a mystery that pierces his own heart.” And love, in all its forms, is the greatest mystery of all—at least to the world’s greatest PI. 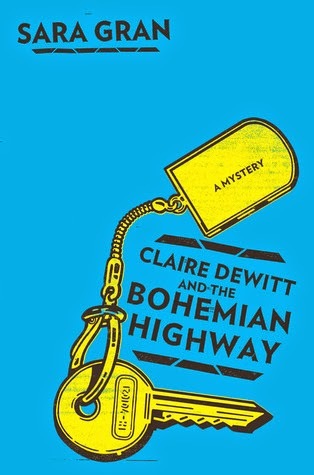 Claire DeWitt and the Bohemian Highway is the second book in the Claire DeWitt Mysteries and can be read as a standalone but I recommend reading the first book in the series, as well. Claire is a private detective with a unique perspective on life and is deeply obsessed with solving mysteries. 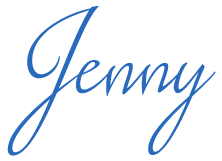 She reminds me a little of Sherlock Holmes in the sense that she is keenly astute, unconventional, deeply passionate about her work, and just plain bizarre at times. "The detective who pretends not to see the truth is committing something much worse than a mortal sin, which can only ruin her own soul--she is committing all of us to lifetimes of pain. The truth is not just something we bring to light to amuse ourselves; the truth is the axis mundi, the dead center of the earth. When it is out of place nothing is right; everyone is in the wrong place; no light can penetrate. Happiness evades us and we spread pain and misery wherever we go. The detective above all others has an obligation to recognize the truth and stand by it; the detective above all, the detective above all." I'm finding Sara Gran has a knack for making her readers root for the bizarre, drug-addicted, toxic heap that is Claire DeWitt. She should not be a likable character. Somehow, Claire is selfish and selfless all at the same time (or at least back-to-back). She has bizarre methods in life and detection and somehow manages to consistently come out on top, even when the world around her falls apart. Claire is brilliant and crazy and it all works so very well. I enjoy her process and her line of thought. I understand her drug use and consistent acts of self-destruction. I understand so much more about Claire DeWitt than I would have thought possible. I really felt for Claire and wanted so much for her throughout this story. There are many moments in the book that are meant to be confusing and crazy. That's just Claire. There were a few times, however, when I was a little too confused by Claire's perspective and line of thought to give this a higher rating. I really enjoy reading about Claire DeWitt. Her life is dark but not without hope. The stories are crazy and twisted and irresistible. The abundance of intertwining stories can often be obnoxious and boring in too many other stories but somehow works here. Even when I was able to figure some things out earlier than planned, I wanted to keep reading because in the world of Claire DeWitt, there's no telling what you really know.